What are three adjectives to describe your team? How would your riders describe you? What snacks keep you energized? Levain cookies (from riders! Thanks, guys! ), iced coffee from The Golden Pear, Mary's Marvelous smoothies. Anything on the Thong Song Pandora station. Any secret talents besides tapping it back? We are really talented bat/r Mitzvah hype dancers (we are available for graduations, as well! ), Australian accents (we are SOY good at them), and someday (we hope) surfing. If you were a TV or movie cast, which would it be and why? Bridesmaids because, obviously, and we look really good in pink. 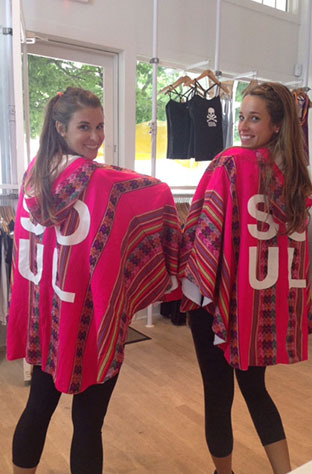 Best part about riding and working at Soul East Hampton? Proximity to Scoop du Jour, proximity to Rique, going to the beach before and after work, dance bombing Laurie Cole's classes (sometimes with a glass of Wolffer Rose if it's her birthday! ), hoping that one day Mireya will put us on the podium (and freaking out when she does). Why makes you so SOULful? 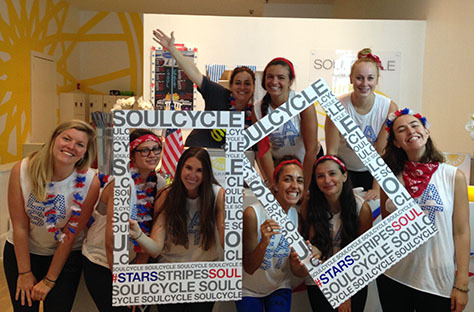 We work hard, we play hard and so do our riders, which is why we love them SOUL much! 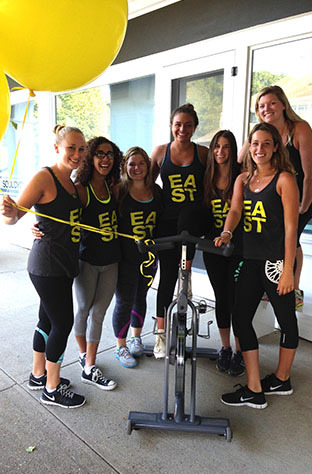 We are obsessed with our EH community and love to see them in the studio and around town!